I would highly recommend Mercedes Benz of Arcadia specially my Service Advisor, Mr. Joseph Yu, to my friends and relatives. All the staff and personnel are very friendly, courteous and knowledgeable of their work. It really exceeded my expectations compared to other dealership I’ve been through. I've leased numerous cars over the years and have never had a better experience than the one I had with Andrei. He's professional, knowledgeable and personable (and as someone whose family owns dealerships on the east coast I know the good from the bad, and Andrei is EXCELLENT). I always felt like he had my best interest in mind and was very transparent and fair throughout. Though this dealerships is quite far from my home, it was 100% worth the trek. I will be coming back and recommending Andrei to everyone I know. 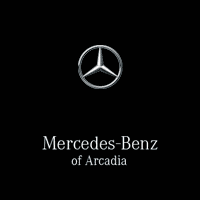 Here at Mercedes-Benz of Arcadia you’ll find a large amount of new 2017-2018 models and high quality luxury pre-owned cars at our dealership proudly serving the greater Los Angeles, Pasadena, La Canada, Rosemead, and Alhambra areas. In addition to the inventory we maintain, when you enter our showroom floor you will be greeted by our friendly and accommodating staff who are eager to help you in anyway they can. When you’re in the market for a new Mercedes-Benz in the Arcadia and Pasadena, CA area, then you’ve certainly made the right choice coming to Mercedes-Benz of Arcadia! With a plethora of popular, stylish Mercedes-Benz C-Class, CLA, E-Class, GLE and GLA models in stock, you’ll have plenty to consider before making the big purchase. Find something you like? Jump behind the wheel for a spin and get a taste of what you’re missing in your life. For drivers who are interested in our pre-owned vehicles, we have plenty for you to choose from. At Mercedes-Benz of Arcadia we are excited to offer a pristine lineup of pre-owned Mercedes-Benz, used cars, as well as Certified Pre-Owned Mercedes-Benz in the greater Los Angeles and Pasadena. Each used vehicle on our lot have been put them to the test as they’ve been Inspected thoroughly to ensure quality and performance. Explore our used car inventory online and don’t forget to check out our used inventory priced under $30K. Finding the perfect vehicle is only the first step of the car buying process. The next step of course is securing the car loan or lease option that suits your current financial requirements. Fortunately our team at Mercedes-Benz of Arcadia is highly trained to locate you the best rates available. Serving customers from all over Los Angeles, Pasadena, Alhambra, and San Gabriel, we take the time needed to sit with you one-on-one and find out exactly what you are looking for in a car loan. By taking the time to work with you it allows us to better understand what kind of auto payment you are comfortable with, and address any questions or concerns you might have. If you are ready to start the ball rolling, complete our online auto finance application and see what you’re qualified for. In order to ensure your complete satisfaction (even long after you’ve driven home your new car) Mercedes-Benz of Arcadia staffs an onsite auto service and repair department that proudly serves drivers from Arcadia, Los Angeles, Pasadena, Alhambra and San Gabriel. Thoroughly trained inside and out to know your Mercedes-Benz S-Class, SL-Class, or other model, our technicians are provided only certified Mercedes-Benz parts when making repairs, ensuring your car runs as efficiently as the day you first took a seat behind the wheel. What else does Mercedes-Benz of Arcadia have to offer? Aside from expert knowledge in everything automotive, our Mercedes-Benz dealership simply loves serving you. So come see us today, conveniently located at 101 N Santa Anita Ave in Arcadia, CA. Be sure to bring your questions, and be ready for answers!